Can I Lose a Job Because of a Criminal Conviction? At Bundza & Rodriguez, we meet with clients every week who are worried about how a criminal charge will affect them. In particular, they are worried about whether a conviction will impact their ability to get a job, or to even keep their current job. Unfortunately, employers who find out about criminal convictions face few limits in how they respond. For this reason, it is vitally important that you fight your criminal charge or get the charges dismissed. If you are looking for employment, you should know that most employers pull background checks when considering applications. They look at both your credit history and any criminal convictions. Also, many employers ask applicants whether they have convictions, so do not think you can lie about it. Chances are, the employer will find out about the conviction, and lying will only dig a deeper hole. 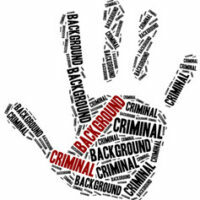 Employers run background checks for a variety of reason, but one reason is to protect themselves. If they hire someone who turns around and harms a customer, then an employer might be on the hook in a lawsuit. By running a background check, the business can at least claim they tried to find out whether an applicant was dangerous. There are ways to explain away a criminal conviction, but don’t lie and deny it. Instead, point to how you have become rehabilitated—such as by getting more education, performing community service, becoming involved in a church, etc. Also find reputable people who can serve as references, such as religious or community leaders. Most Florida employees are “at will,” which means your employer can fire you at any time and for any reason. There are some limitations, such as anti-discrimination law, but these laws do not usually come into play. If your boss finds out about the conviction, they might decide to let you go. You will have few options to stop them. Furthermore, many convictions result in a suspended license, which means you might not be able to get yourself to work. Drug convictions, in particular, can lead to a license suspension for a year or more. As a result, holding onto your job will be made that much more difficult. In many professions, you can lose a license because of a criminal conviction. For example, Florida statute 458.331 states that health professionals can lose their license if they are convicted of a crime directly related to the practice of medicine or any crime involving fraud, dishonesty, deceit, or moral turpitude. Criminal convictions carry devastating consequences over and above time spent in jail or criminal fines. Before agreeing to a plea deal, you must understand how an admission of guilt will affect your ability to get a job or keep a professional license. At Bundza & Rodriguez in Daytona Beach, we represent criminal defendants accused of misdemeanors and felonies. To schedule your free consultation, please contact us today.